Italy has reacted with fury to the Brazilian president's decision on his last day in office not to extradite an Italian former left-wing militant. The Italian foreign ministry recalled its ambassador to Brazil, while the defence minister said Luiz Inacio Lula da Silva had shown a "lack of courage". But Brazil's government said the move was not an "affront" to another state. Cesare Battisti has been convicted in absentia of murdering four people in Italy between 1978 and 1979. The 56-year-old has maintained his innocence, saying he is the victim of political persecution in Italy and that he risks being killed if extradited. "I am guilty, as I have often said, of having participated in an armed group with a subversive aim and of having carried weapons. But I never shot anyone," he wrote in a book published in 2006. Battisti has been on the run since escaping from an Italian jail in 1981 while awaiting trial. 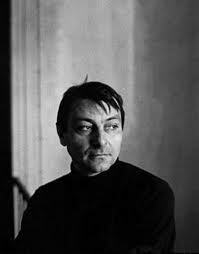 He spent the intervening years in France - where he started a career as a novelist - Mexico and finally Brazil. After he was arrested in Brazil in 2007, the Italian government requested his extradition under an existing bilateral treaty. It said the former member of the radical Armed Proletarians for Communism (PAC) was a terrorist. Last year, the Brazilian government accepted a request from Battisti for political asylum, but the Supreme Court ruled that the designation was illegal as he was convicted of "common crimes" rather than political acts. The judges said the extradition treaty should apply, but nevertheless left the final decision to the president. 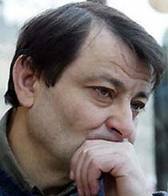 Italy has been desperate to get its hands on Cesare Battisti, who has become something of a scapegoat for the country's years of political violence - someone to blame for the period known as the "Years of Lead". These were the dark days of the 1970s and early 1980s, when bombings and assassinations rocked Italy's political foundations. Very few people were ever prosecuted. There was talk of the state having a hand in some of the attacks. Battisti represents a visible face for the wrongdoing. Families of Battisti's four alleged victims have all condemned Brazil for its failure to send back. The son of a man shot dead in 1979 said that until Battisti was returned, there could be no justice. "This type of judgement does not constitute an affront from one country to another," he added. But Italian Prime Minister Silvio Berlusconi condemned the move, and vowed to explore all options to have it reversed. "I express deep bitterness and regret at the decision by President Lula to refuse the extradition of Cesare Battisti, a multiple murderer, despite insistent requests and urging at all levels from Italy," he said. "This is a choice contrary to the most elementary sense of justice," he added. "I consider this situation is anything but closed - Italy will not give up and will make sure of its rights." Defence Minister Ignazio La Russa said the decision was "seriously offensive to Italy, and above all to the memory of the people who were killed and the pain of the relatives of those who lost their lives". "They should be under no illusion that this can happen without consequences," he told Sky TG24 television. "Just the fact that Lula waited for the last hour of his term is a sign of his lack of courage," he added. "It's a disgrace. I'll never tire of saying it." The Italian foreign ministry said its ambassador to Brazil would press the case with Ms Rousseff as soon as possible and would be recalled to Rome for consultations. The president of Brazil's Supreme Court told reporters earlier on Friday that the legality of President Lula's decision would still have to be assessed by the chamber when it resumed work in February after a recess.